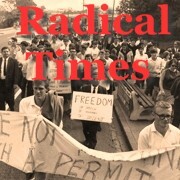 It is 30 years on from the SEQEB dispute where 1005 workers were sacked by the Bjelke-Petersen government and replaced by fewer contracted labour. 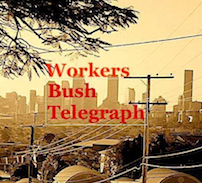 Over the intervening years successive governments have been forced to employ more workers because of the possibility of failure of the electricity grid as happened in Auckland in New Zealand under the manager who recommended that government sack the workers. Anyone confused about the role of the University of Queensland Senate in broader society needs to have a listen to this short interview with Carole Ferrier discussing the honorary doctorate bestowed on Bjelke Petersen in 1985. Biased media showing arrest of concerned christians, seamen Bob Cagnegie and Frank Malone and other unionists. This led to a successful legal challenge of s5 of the continuity of supply act … but the damage was done. Det Cnst Mick Vernados (Special Branch) arrests Dan O’Neill at Fortitude Valley SEQEB depot on 18 April 1985. 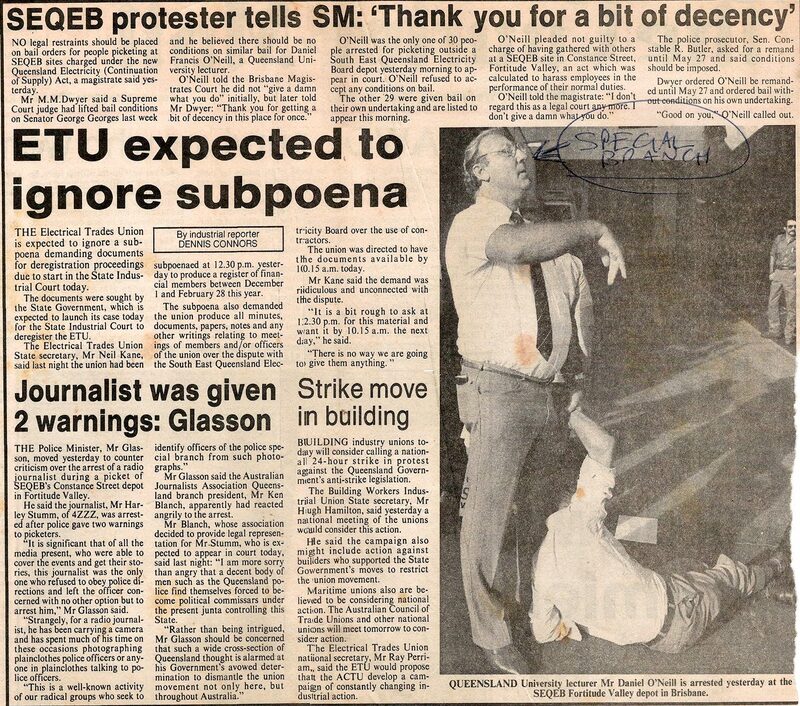 Note also 4ZZZ journo Harley Stumm being arrested on the picket line. Click to enlarge image.